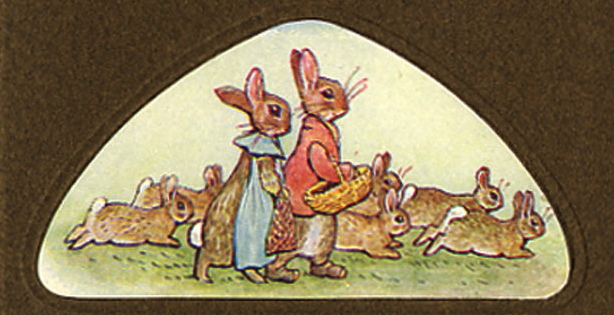 Recently we looked at a few color products that I thought would make a pretty, wearable day look, inspired by Beatrix Potter (and the lovely roxina at Makeupalley). This whole project is about taking inspiration from interesting or beautiful things to compose makeup looks. I was starting to feel really stuck in a rut; I wasn’t making good use of my stash. 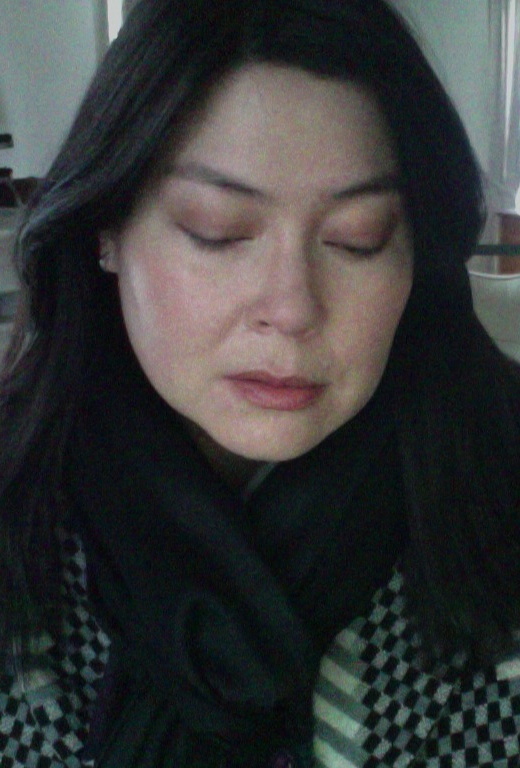 I felt like I was relying on experts and tastemakers (Wendy Rowe, Alice Lane, Lisa Eldridge, Mary Greenwell, etc. etc. etc.) to tell me what would be chic; what would be fresh; what would be flattering; what would go with what, and on and on. I wanted to change that. I respect all of those people (and so many more). I think they have incredible expertise and extremely good taste. They know what they’re doing. They’re pros. I’m still totally interested in the insights they share. So that part hasn’t changed. I just want to exercise my own creativity a bit more (and more and more and more! ), even when it comes to the quickest, most humble little casual makeup look I put together for myself. In that spirit, I’m really wearing the looks I’m telling you about in my daily life, and whenever I can, I’ll try to snap a (probably lousy) pic so you can see how it turned out. A few days ago, I put together a a few products for a look inspired by the cover of Beatrix Potter’s The Tale of the Flopsy Bunnies. Bunnies in closeup. Tale of the Flopsy Bunnies (first ed.). Bronzed peach. From the left, Dior Addict Fluid Stick in Mirage; Pixi Beauty Endless Silky Eye Pen in Oyster Glow; Bourjois Cream Blush in 01. This look really could not be simpler, but even so it did get me out of my habit of late, which has been to pair a bronze eye with a rosier cheek and lip (rather than a peachier one). There was absolutely no reason for me to be doing that all the time. It was just habit. At least this time I’m not green. Well…less green. I was relieved to see that this time, although I look very grainy (low light conditions and lousy webcam, sadly), at least I don’t look pea green like last time. I’m bundled up in a gigantic sweater and scarf, about to run out the door. So there it is–not exactly a risky look, but I hope you found it interesting to see how this one turned out IRL. I’ll do my best to post other looks as they appear on my face when I can. Cute! You have a Catherine Zeta jones vibe and that lippy really is a perfect apricot on the lips like you said…. I like the idea of peaches with cool silvers, I have never tried that! Thanks so much for visiting and for such kind words! I love to pair warm peachy cheeks and lips with cool tones on the eyes (and warm bronzey eyes with rosy shades or pinks–even bright pinks!–on cheeks and lips). 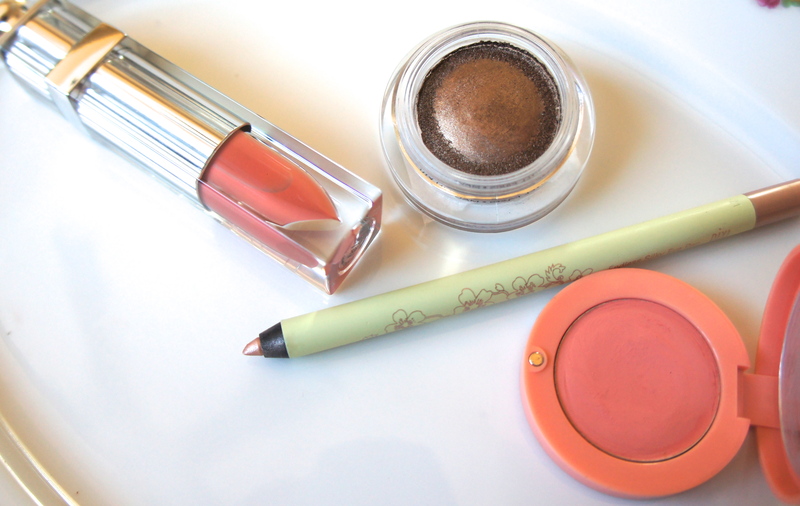 I love those combos so much that I just overlooked bronzes with peachy tones. It’s been great to change up some of my well-worn habits with this project!